In the heart of rural Suffolk, two country pubs are demonstrating the county’s reputation as a foodie destination. 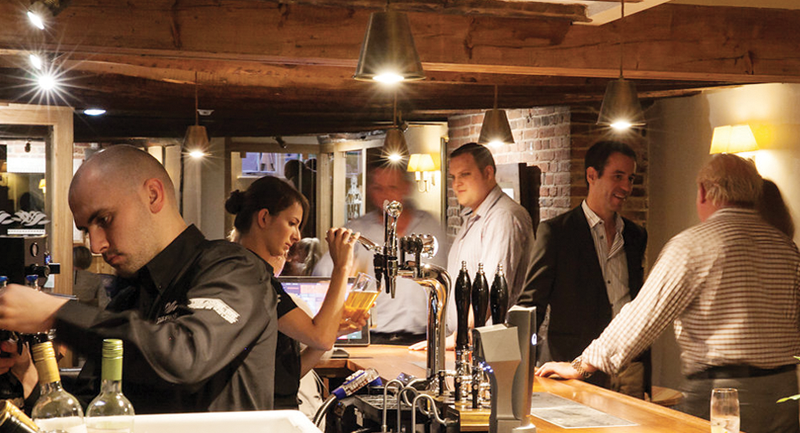 These historic oak beamed inns have been lovingly restored by family-owned Exclusive Inns to create warm and welcoming pubs renowned for innovative menus and gastronomic feasts. Just four miles from Lavenham, tucked away in the picturesque village of Monks Eleigh lies The Swan Inn, a beautiful thatched pub and destination in the heart of Suffolk. Just a short 15 minute journey takes you to a historic 16th Century coaching inn, The Angel Inn at Stoke by Nayland with AA 5* luxury boutique hotel rooms and an award winning restaurant in a perfect location to explore the surrounding countryside. In the kitchens, Executive Head Chef Mark Allen at the Angel and Chef Julian Bisbal at the Swan work in partnership to create the pubs’ mouth-watering dishes. They love cooking the very best of seasonal British food with a modern twist which is prepared with skill, care and passion. On the menus, local & small-scale artisan producers are showcased with the ethos of ‘Farm to Fork’ followed at both pubs. Working closely with the Lavenham Butchers and Lower Dairy farm in Nayland, the chefs are sourcing the finest local meat butchered to the highest standards for their kitchens and then cooked on the Big Green Egg, a revolutionary culinary experience producing the most tender and succulent signature dishes. But the commitment to sourcing the best produce goes further than just the menu. The Exclusive Inns Chairman, a passionate private collector, has sourced fine wines at the cellar door from vineyards across France for several decades. In an exciting new development for wine lovers, guests now have the unique opportunity to explore this exceptional private collection at a fraction of the cost elsewhere. Both pubs showcase quality red wines from the Chairman’s private cellar and HallGarten Druitt Novum - European Wine Merchant of the Year at the 2015 Sommelier Awards, have chosen a superb selection of white wines to complete the cellar.